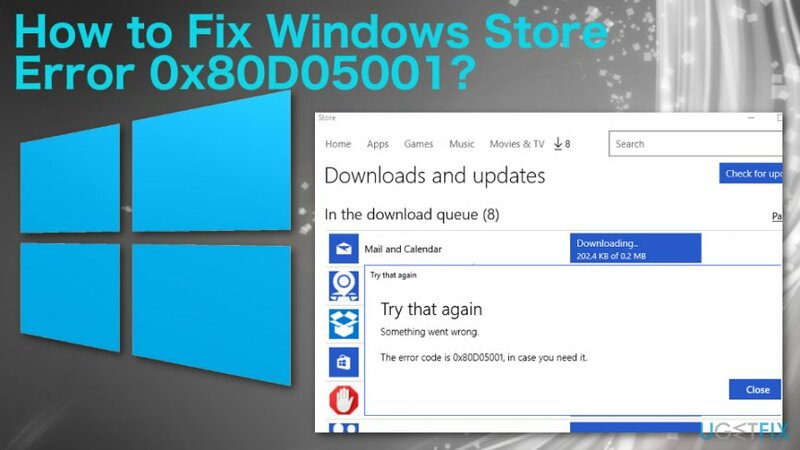 Home »	Fix » How to Fix Windows Store Error 0x80D05001? Issue: How to Fix Windows Store Error 0x80D05001? Hello, I have been getting the error code 0x80D05001 when trying to download and install apps from the Windows Store. I’ve installed the update a couple of months ago, so this means that I’m not able to have the latest apps, but more importantly, the latest Windows 10 updates and patches. I barely can use my computer due to this. Could you please help? Windows Store 0x80D05001 error is one of many issues that appeared on users devices after the particular Windows update. It can be fixed with the latest OS update but not all issues with Windows Store get fixed that way. Windows Store is the main source for various applications and is important for every Windows user. If you are not able to download and install apps from the Windows Store because of the 0x80D05001 error, you will find all the relevant information on this post. We will shortly introduce the bug and provide the fixes that helped most of the Windows 10 users to fix the 0x80D05001 error. Although Microsoft is continuously working on Windows Store improvements, there is still much work to do. Hundreds of Windows 10 users are reporting Windows Store bugs every day and one of the latest bugs is the error 0x80D05001. Although it has been occurring since Windows 10 Anniversary Update, the same error value has been adopted by Creators Update and the following builds. Likewise other Windows Store errors, the 0x80D05001 error shows up when the PC’s owner attempts to download or install new applications. The worse part of the problem is that it prevents people from downloading the latest de-bugged Windows Updates using Windows Update service. The vast majority of people who have informed Microsoft about this error are Windows Insiders. Nevertheless, non-Insiders can be affected either. Issues with Windows Store and the particular error code 0x80D05001 can often be caused by Internet Security Suites or even the Windows updates. However, third-party tools, malware and other issues with the Windows operating system can be the reason for the error on Windows Store. You should employ a particular repair or optimizing tool, so all those issues get indicated or even fixed automatically. We can offer Reimage and to start with a full system scan before any other methods and fixes. Use the Windows Apps troubleshooter. Download the app from the official Microsoft website and run a scan with it. It should detect and fix the problems related to Windows apps automatically. Run System File Checker. For this purpose, right-click on Windows key and select Command Prompt (Admin). Type the sfc /scannow command and press Enter to execute it. Type wsreset and open WSReset.exe. Finish the process and restart the computer. We would recommend temporarily disabling any anti-virus software, proxy server, VPN tools, firewall, and other tools that are used for protecting and optimizing the system. 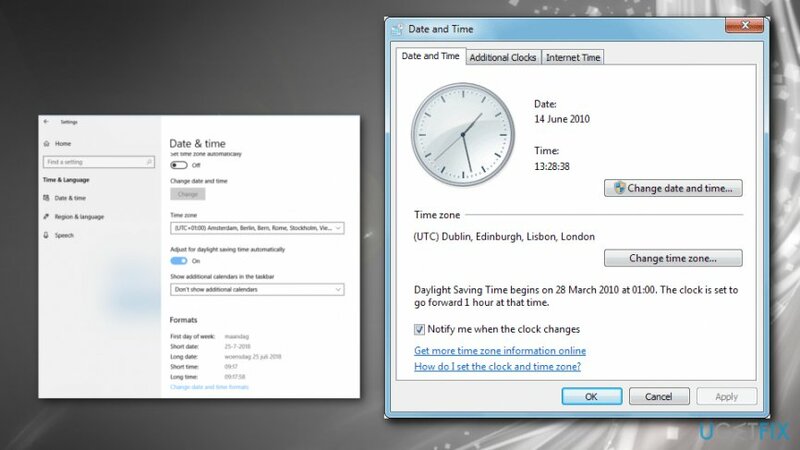 Type Date and Time in the search bar. Choose Apply and Ok to save the date and time. 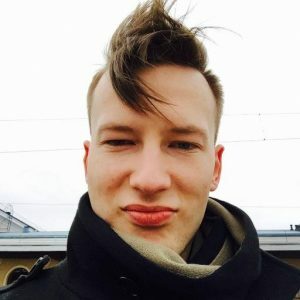 Press Windows key + R simultaneously and type PowerShell. 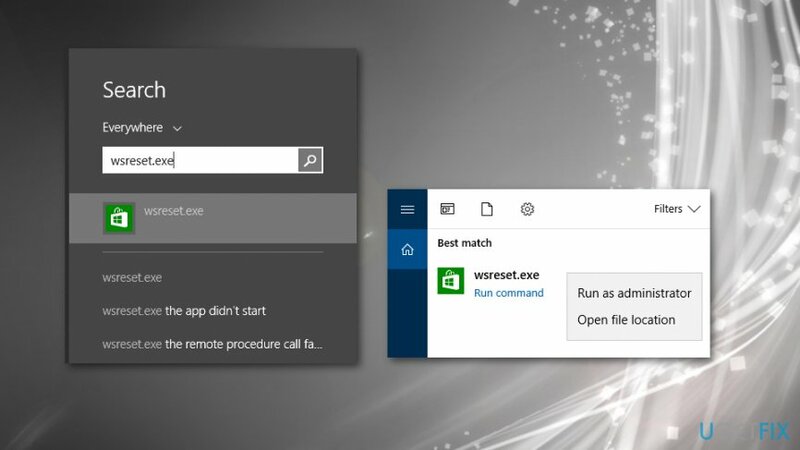 Right-click on the search result and select Run as Administrator. 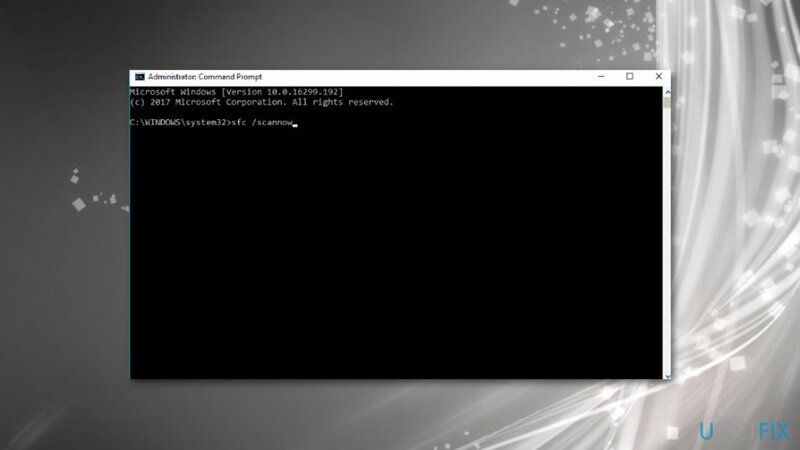 Find Windows Store entry and copy the PackageFullName using the Ctrl + C hotkey. IMPORTANT: replace PackageFullName with the Windows Store package name by pressing Ctrl + V hotkey. Besides, instead of C: type the letter of the root driver of your system. Finally, reboot the system to save the changes. ^ How to fix Error 0x80d05001 while installing updates on Windows 10?. Reddit. Online community. ^ Liam Tung. Windows 10 1809's second update finally arrives, trailing 1803's patch by 2 weeks. ZDNet. Technology news.